I was in Home Bargains picking up some toothpaste (thank you, OP of the Colgate deal), when I saw these blister packs on the battery display. 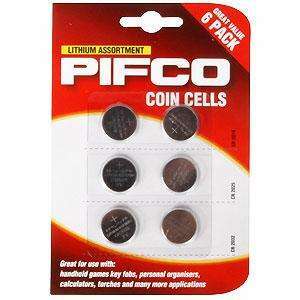 Six lithium coin cells cost £12 at Tesco. Five CR2016s cost £2.19 at 7dayshop.com. If you only use the two you want, and give the other four to a charity shop, you've still saved £3.01 over the supermarket price of one single twin pack. Edited to take account of information that this deal is actually cheaper for six Pifcos than 7dayshop.com charge for five Power Stations branded CR2016s.